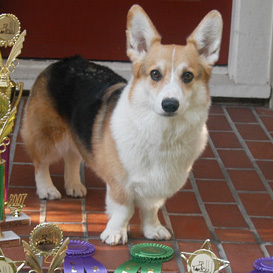 And Adapted to show every Feature to the best advantage. The painting is full of life and humor. The colors are bright were they should be (i.e. Mrs. Flimsy, the red window frame and the buxom lady's dress) and muted where they should be. This draws your attention to the most delightful and important aspects and leaves you to quietly find the rest of the treasures in your own good time. 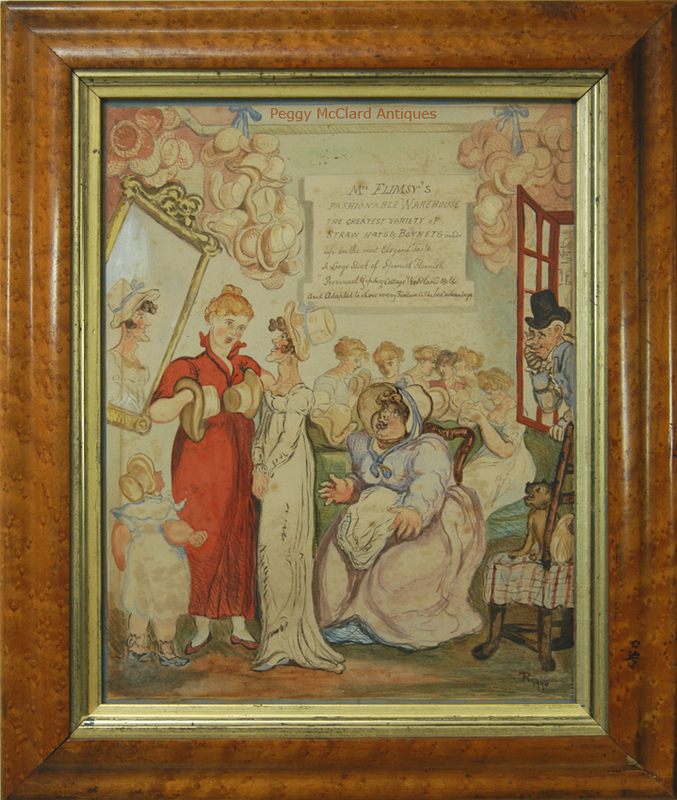 This painting is down in the manner of Thomas Rowlandson (1757-1827), one of the most English popular satirists of the late 18th century. 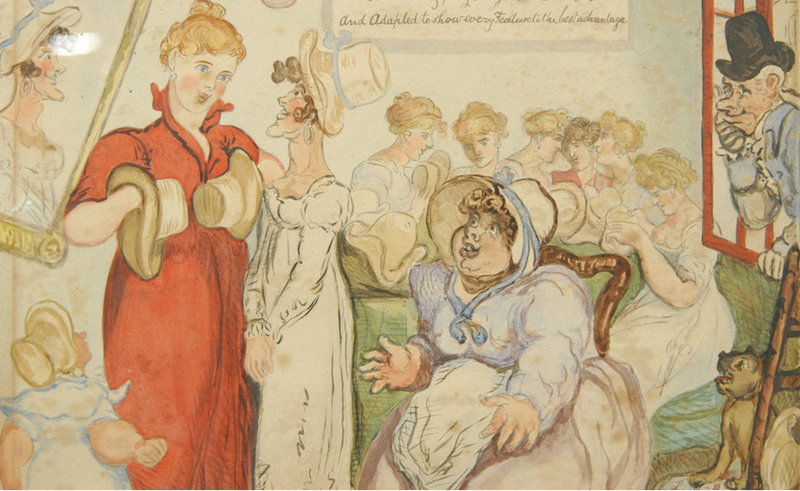 He "applied his masterful drawing skills and keen sense of humor to colorful, detailed, and sometimes bawdy depictions of everyday life in and around London during the late 18th and early 19th centuries." Quote from, Thomas Rowlandson: Pleasures and Pursuits in Georgian England, Mary & Lee Block Museum of Art, Northwestern University, Chicago (http://www.blockmuseum.northwestern.edu/exhibitions/current/rowlandson.html). 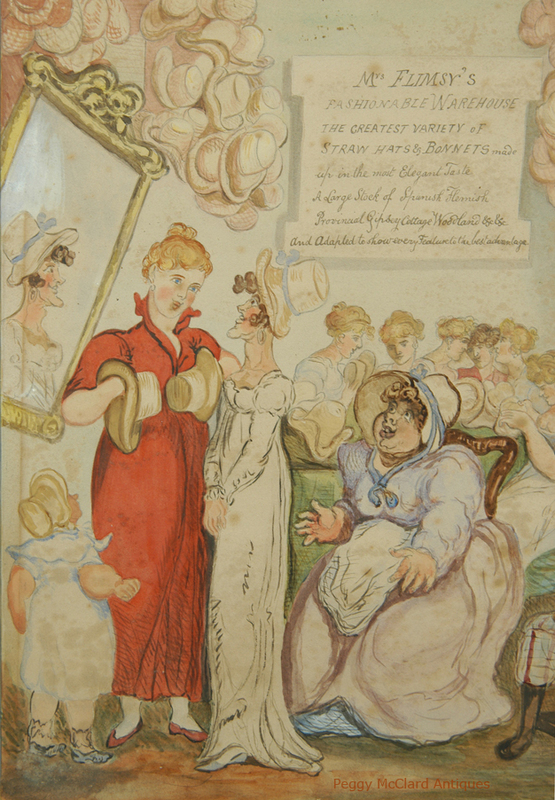 However, it is important to note that this work in not by Thomas Rowlandson. 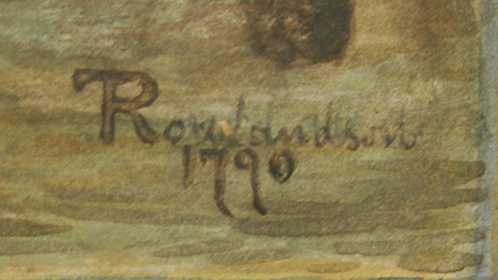 Unfortunately, someone has spuriously signed the lower right corner with his name and the date 1790 (see last image). 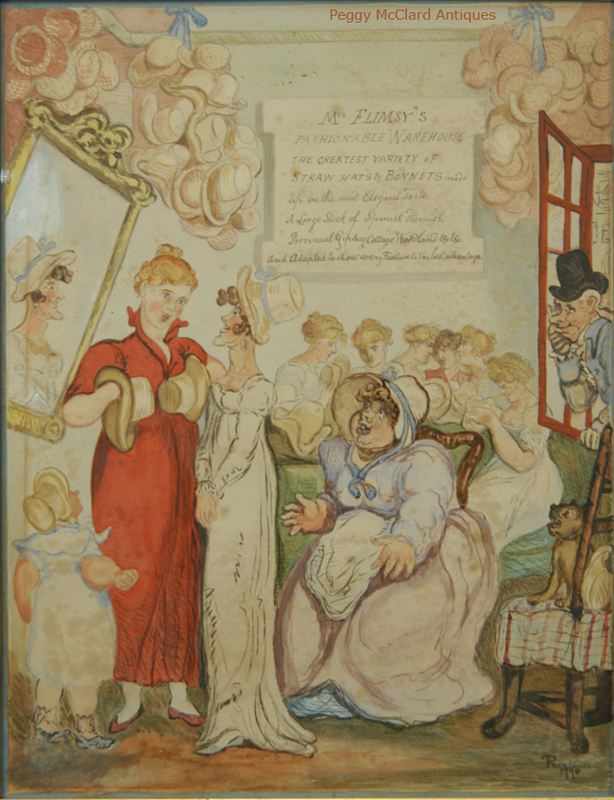 If this were an original work by Rowlandson, it would be offered at a much higher price than I am offering. 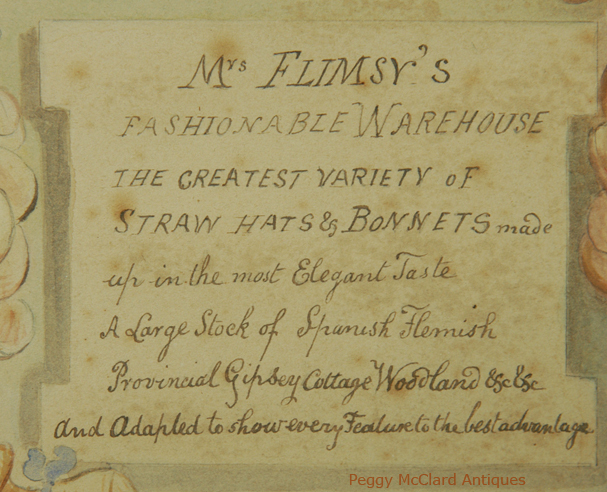 Despite the spurious signature, this is a delightful piece of 19th century folk art! Framed in a period bird's eye maple frame that measures 13" x 15 3/4". The paper has slight age-spotting and a vertical brown stain on the left side from an earlier frame. But these are extremely minor apologies and the piece shows beautifully!